It’s been a few weeks since my last post and while I’d love to give you the ol’ ‘I’ve been really busy’ line, it’s only partially true as I also found time to sneak in a weekend visit to The Old Convent. 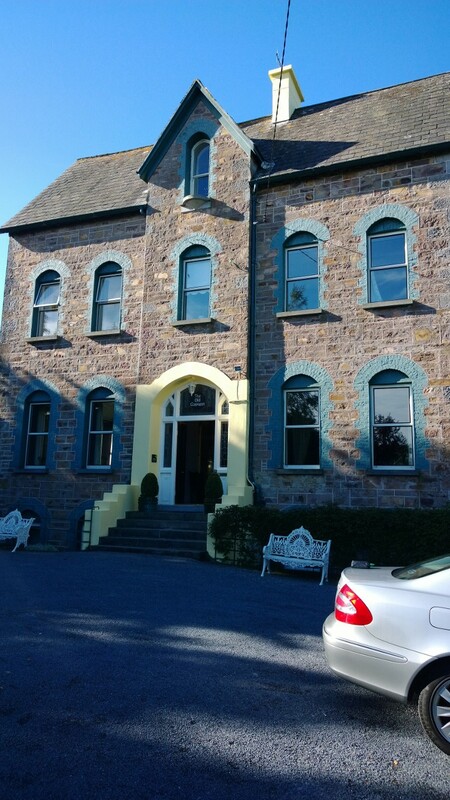 The Old Convent in Clogheen, Co. Tipperary is a gourmet hideaway nestled at the foot of the Knockmealdown mountains. Hideaway is a bit of a misnomer as its existence is a poorly kept secret among Irish foodies. Run by Christine and Dermot Gannon, it’s the tasting menu that justifiably gets most plaudits but if you are staying for two nights, the artisan bento box option on one of the nights isn’t a step down in culinary excellence, and is one of the better value meals to be had in Ireland (the current rash of good value early-bird deals exempted). The winelist at The Old Convent is neat and considered – on our most recent visit we enjoyed a tasty Chianti Classico 2010 from Rocca delle Macie and a meaty, but fresh, Portugese red – Passagem 2008 from Quinta De La Rosa. Everything at The Old Convent, from afternoon coffee upon arrival through to breakfast the next morning, is well thought out and it’s easy to see the love, care and attention that goes into all of Dermot’s food. All that care and attention was in contrast to the goings-on in the film that I watched on one afternoon of our stay while seeking refuge from the ominous storm clouds descending from The Vee. ‘Somm’ is a wine film that follows the turmoils of four candidates for the Master Sommelier exam, allegedly the hardest exam to pass in the world. I’ll leave it to some of the MW crew to decide whether to dispute that claim. When the opening segment of the film declared that buying a bottle of wine was like backing a horse and that ‘Somms’ were that guy at the track slipping you the tip on a particular nag, I feared for what was to come. Somms have undoubetly become the rock stars of the wine world. At the very least they are its alpha males (and females) – prancing around like a reindeer chosen to lead the sleigh, and proclaiming both region and vintage with certainty during blind tastings. Even if opinions frequently differed on the wines, it was very impressive that these guys could identify a characteristic in a wine and then immediately link that characteristic to a specific region and year…impressive of course until someone confuses a Napa Chardonnay with a Burgundy, but such is the leveller of blind tastings. Wine stardom seems to come at a price however because, for all their 100 word a minute blurbs of obscure aromas and colour reflections, what saddened me was the apparent absence of actual enjoyment of wine; every glass was now just another tasting grid that needed to be filled out at breakneck speed. I found myself asking where was the love, care, attention and appreciation for the wine in all this? Where was the discussion about the grower, the viticulture methods or the connection with the land? Maybe this is a classic case of me confusing business with pleasure and I acknowledge that the filmmakers probably found it much more dramatic to document the stresses and strains of the final weeks of cramming leading up to the exams, but when an evening with friends descends into an argument over people not letting you “do” the wine properly, you know something has gone awry. None of these people appear to be able to tie a necktie at the appropriate length. There is no such thing as “doing” a wine. Or at least there shouldn’t be. Friends should never fall out over whether a wine, tasted blind, is an 08 Côte Rotie or an 04 Vacqueryas – especially if it’s a Gigondas (we never did find out what exactly it was). The WAGs are undoubtedly the stars of this film.